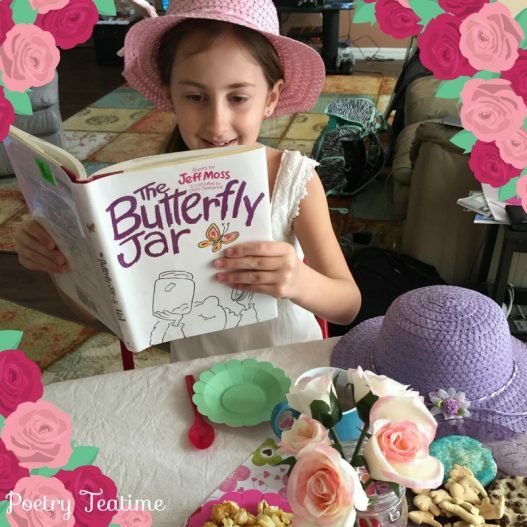 We love seeing your Poetry Teatime success stories! 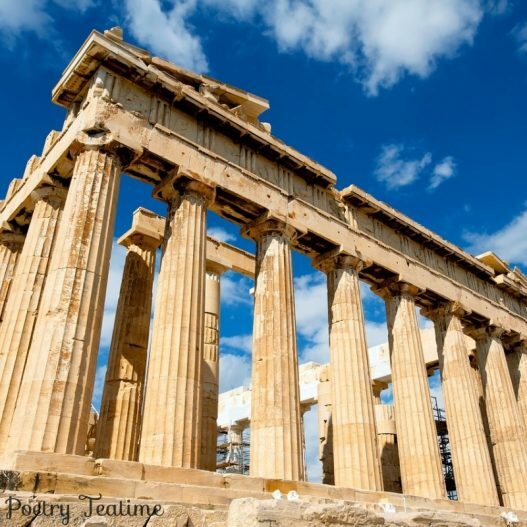 Today's story comes from a mom who combined poetry with Ancient Greek. Read on for inspiration! 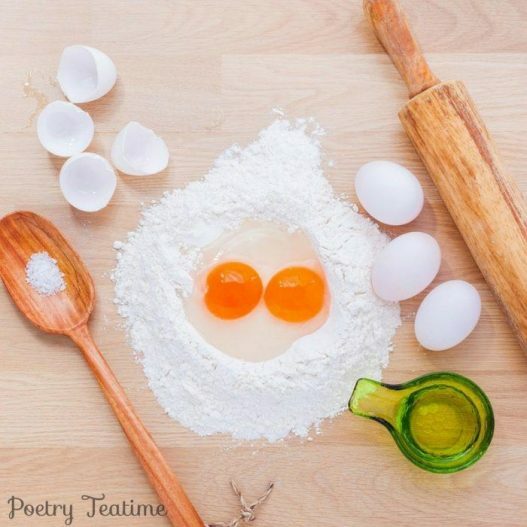 We love hearing your Poetry Teatime stories! Today, we have an amazing poem submitted by Brave Writer mom Erin, written by 14-year-old poet Ethan. 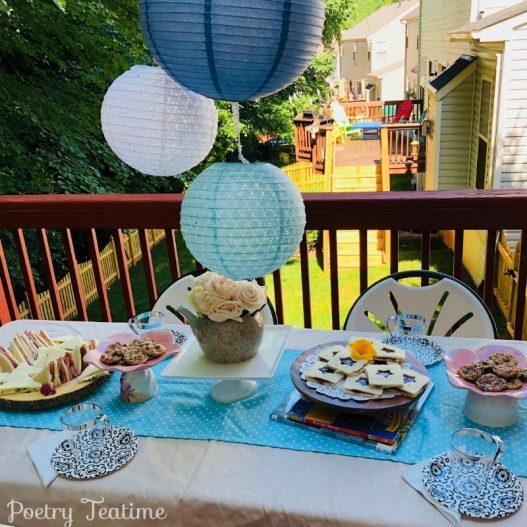 Throwing a teatime poetry party sounds like a lot of work. But today's story will show you that all you need are poetry books, a treat or two, and friends to make it all come together! 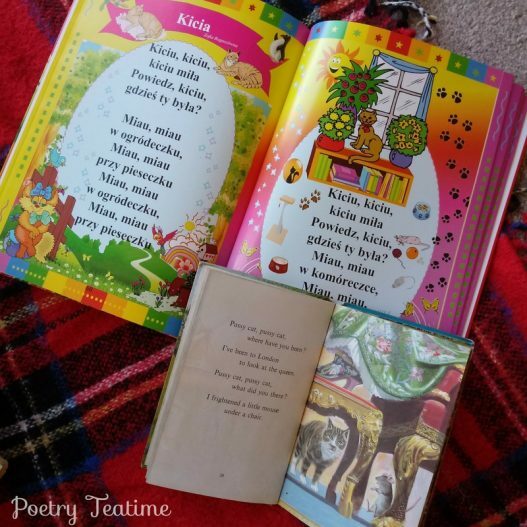 Today we are featuring a wonderful bilingual Poetry Teatime from one of our Brave Writer families. Read on for games, activities, and ideas for bringing multiple languages into your own teatime! 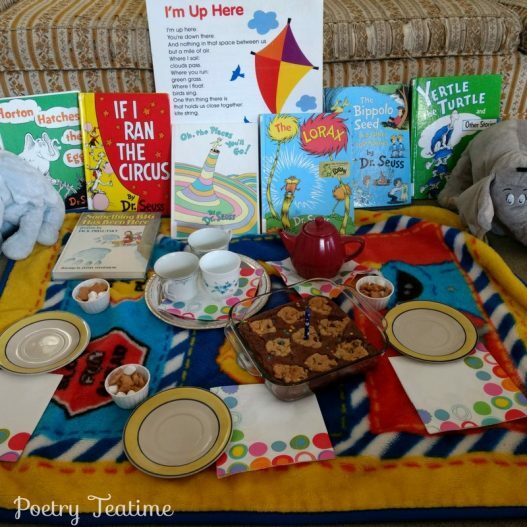 Today's featured teatime is a brilliant Dr. Seuss-themed celebration. Read on to discover some zany treats and teatime ideas worthy of Dr. Seuss himself! 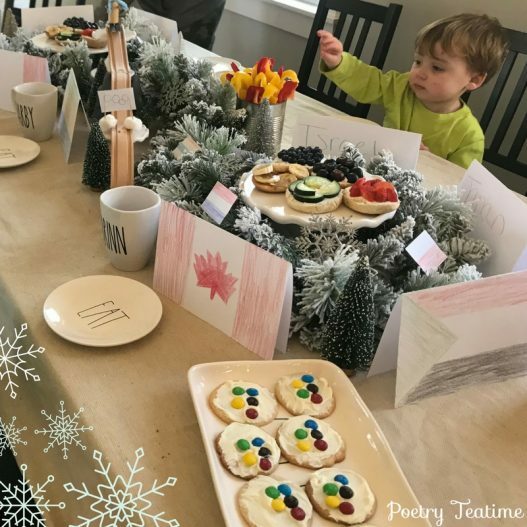 Today we're featuring an amazing Winter Olympics-themed Poetry Teatime from one of our Brave Writer families! 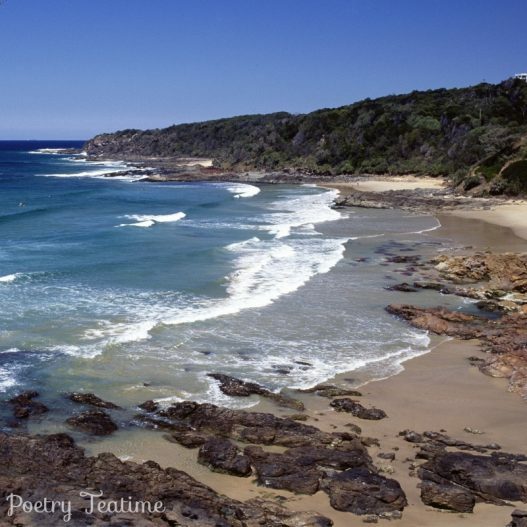 Stay tuned for a fantastic centerpiece, poems to read, and cool Olympic activities to try. Today's featured teatime is a pre-Valentine's Day tea. It's the perfect time of year to break up the grey January weather with a bit of Valentine's fun, so read on for some teatime reading and writing inspiration!